Fitwear. Loungewear. Anywear. Ethically produced...No sweatshops for our sweats! Hey! Holla are two old friends from Uni, Laura and Alex, with a love for health & wellness who believe all clothing should be ethically produced. We set this company up in the living rooms of our flats and had a blast coming up with new creative designs and sharing them with the Hey! Holla Fit Squad! We grew the business to a full operation with over 40,000 products sold to date. We love meeting our customers in person at fitness and wellness shows and look forward to welcoming you to the Fit Squad! Our apparel and accessories are as bold and bright as you are! Featuring inspirational words for your workout, they're are sure to inspire even the most reluctant of gym attendees! We feel proud to have won best stand at the Be:Fit London show for two years in a row and to have been stocked up and down the UK as well as all over the world from Australia to France, USA, Switzerland, Cyprus, Dubai and Nigeria... to name but a few! We've held pop ups at Liberty, Le Bon Marche in Paris and Topshop and we've been featured in top publications such as Health & Fitness Magazine, Women's Health, BuzzFeed, The Guardian, Grazia, The Telegraph, You Magazine, Evening Standard, Fit & Well and Psychologies. We came runners up in the 'Partnership of The Year' awards for Not On The Highstreet. 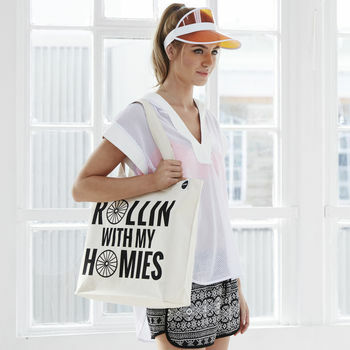 "Love these bags. I was gifted one and I bought one as a gift consequently." 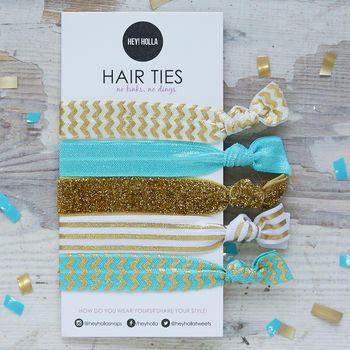 "Excellent quality hair ties, perfect for putting hair in a ponytail." 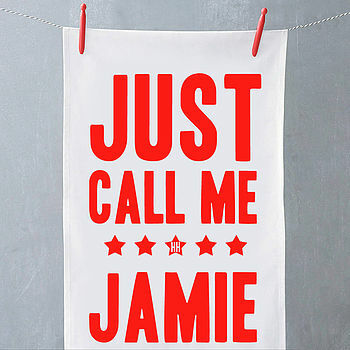 "Amazing seller who went above and beyond to get the tea towel to me in time for Christmas when I ordered it past the last order date." 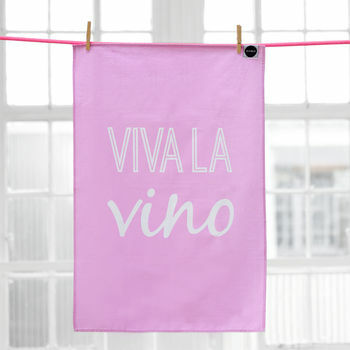 "Will add a bottle of vino to make little gifts"
All orders are sent via Royal Mail and we aim to dispatch orders within 24 hours (excluding weekends and public holidays). The cut off time for orders is 2pm (GMT) to meet the below delivery time frames, any orders placed after 2pm will be processed the next working day. Not all products are available worldwide, please see individual product listings for further information.